It’s patio season, and The Maids has several tips to get your patio into shape for the summer. Keep reading! Put down a magic carpet. So it’s not a magic carpet, but who says an indoor/outdoor rug can’t take you places? 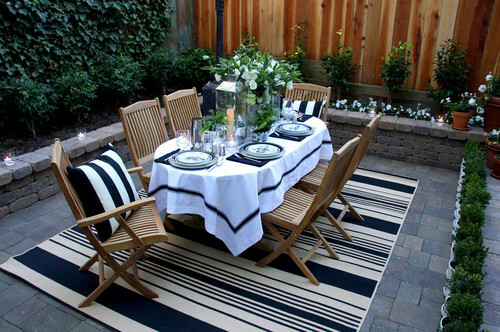 A striped one sets off this outdoor dining area and dresses up the whole patio, helping us feel like we’re at a stately resort. 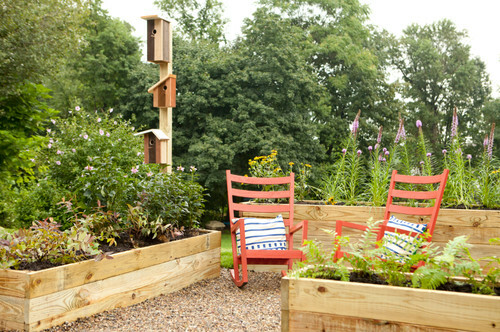 Rocking chairs beg you to relax, and these red ones add a pop of all-season color so often needed on patios that transition from season to season. While adirondack chairs and picnic tables certainly have their place on the patio, rocking chairs definitely should, too. Change up the look with different pillows and cushions. Take a nod from these homeowners and bring a little indoors outside. Frames like these will need a durable coat of exterior paint, but it will be worth the effort. Okay, so not the easiest thing to add to your patio, but certainly a stately one. 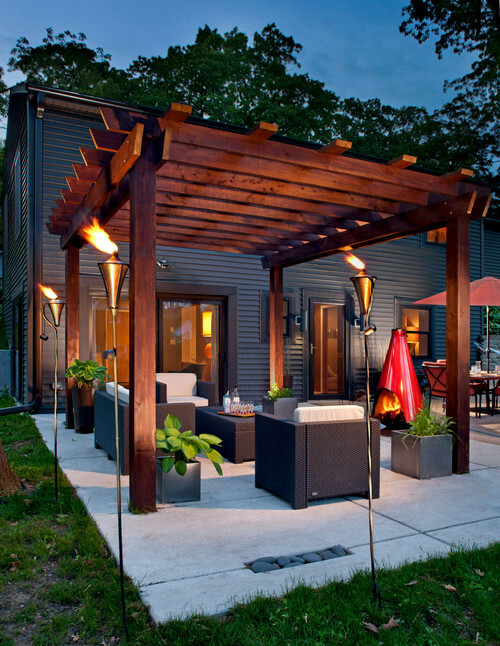 Pergolas add height, magnificence, and beauty; they also provide a place to hang lights, plants, and screens. 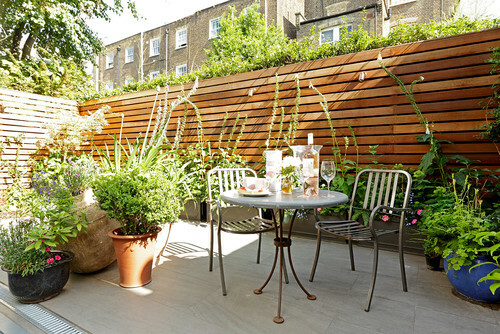 Containers are smart patio decor devices in so many ways, and this patio uses them perfectly. Rectangular ones form the perimeter, giving tall, vining plants a deep foundation to launch and climb skyward. Colorful ceramic planters help divide the space into temporary sections. 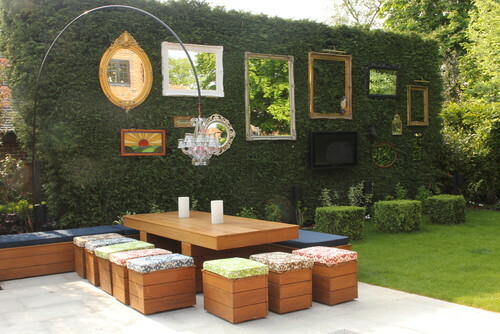 If you love to rearrange your furniture, container gardens are a great way to add to the fun. Just keep in mind your plants’ sun and shade requirements so that the whole patio continues to thrive.